Surely horizontal is more expensive? Plus cost to equip with stepstool and wear and tear on same. It's National Puppy Day and we're happy as a dog with two tails, speaking of which... Thcrapth might be getting a bit long in the tooth, but he's still young at heart! Discworld Emporium regrets to inform customers of the My Little Tyrant, Lord Vetinari Figurine that the Realistic Kung-Fu Grip™ has been deemed too realistic and may cause harm to young children and the infirm. 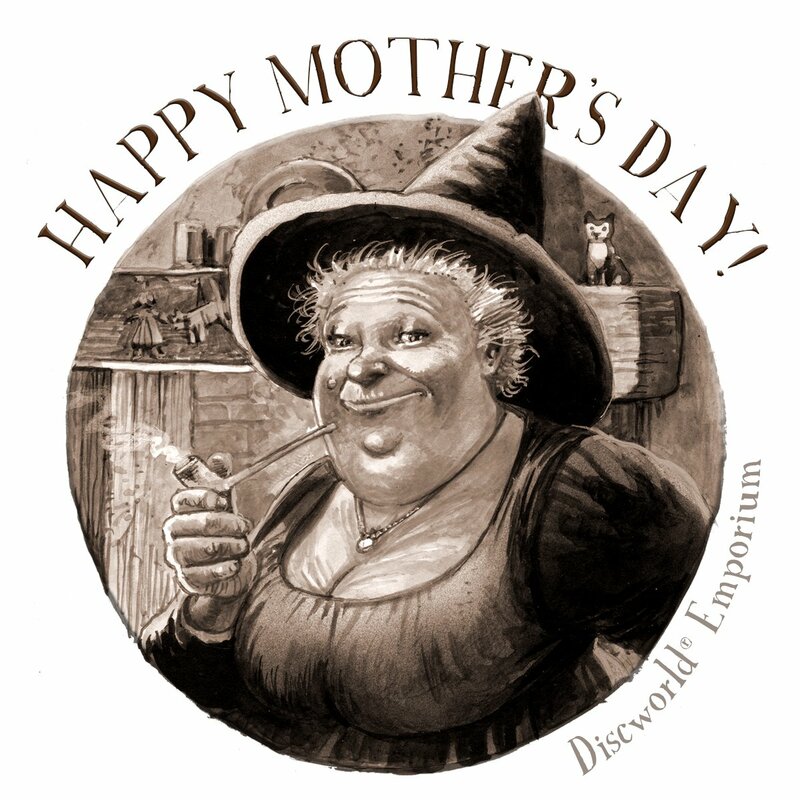 Please return the item to your nearest Discworld Emporium for a full refund. Sculpted by Rich Kingston, the artist behind our A'Tuin and Luggage pieces, Terry Pratchett's pint-sized usher of souls is hand cast & finished by our team of local craftsmen here in Somerset. Produced in a glorious antique bronze finish and standing 185cm high, the Death of Rats is an EEK-some addition to our range of official Discworld figurines! - a BS Johnson miniature perhaps? PIty they aren't doing a plaster paint-it-yourself version.